There are 4 Campaign decks available each with their own individual play styles. 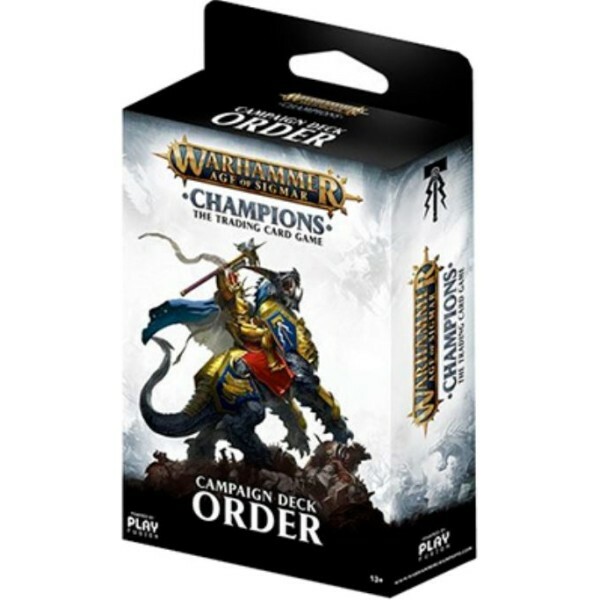 Each Campaign deck includes 38 cards consisting of 4 champions, 4 blessings and 30 action cards. Stalwart and righteous warriors looking to free the mortal realms from the clutches of chaos. The forces of Order are home to Stormcast Eternals and Idoneth Deepkin. Their strength lies in empowering individual units so that they can tear through the opposition while exercising precision board control.